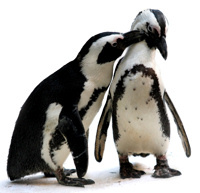 Don't Miss This Sweet Deal for Valentines Day at Tampa's Lowry Park Zoo! Don&apos;t Miss This Sweet Deal for Valentines Day at Tampa&apos;s Lowry Park Zoo! Hell all, Jerm here with an update for you on one of my favorite times of the year. IT&apos;S $5 DAY AT LOWRY PARK ZOO!!! Okay, pardon me yelling, but since I don&apos;t have a Valentine this year,I may just go over and hang out with my meerkat friends. Trust me, you don&apos;t want to miss this sweetheart deal for Valentine’s Day! Visit all your favorite animals at Tampa’s Lowry Park Zoo and learn about endangered wildlife for just $5 per person. Get hands-on with exciting interactive exhibits like giraffe and white rhino feeding, Stingray Bay and more. Enhance your Zoo experience and cuddle up with that special Valentine by riding the behind-the-scenes Safari Ride, Treetop Skyfari Skyride, Jungle Carousel, Camel Safari, the Gator Falls water flume ride and much more! I&apos;ll be checking back as the week goes, just to drop more info on Valentines related Tampa Bay area events, so be sure to stay tuned for that! In the meantime have a great rest of the day!